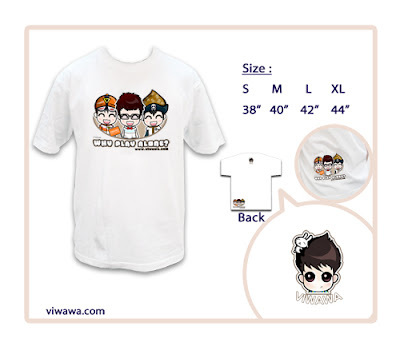 Official Viwawa Blog: Viwawa Tshirts- Medium sized for males sold out! We'll certainly remember that when we print out our next batch! Current sizes for male t-shirts: Small and Large. Current sizes for female t-shirts: Medium. We would like to thank all our gamers who bought our Viwawa merchandise, and for your continual support! We'll be coming out with new merchandise quite soon, so stay tuned!